Our big collaborators are Georgia Southern University and Texas Tech University which have sent over 25 recovering students and staff members to help in Ghana from 2012 and 2016. The results have been very positive for recovery in Ghana and the U.S. More focused visits are expected to take place by the two universities in the coming years. Kristen Harper is on the board of directors of Recovery Africa and is also the Executive Director of the Recovery Communities of North Carolina (RCNC). 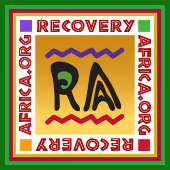 She has been to Ghana three times with RA to spread the message of recovery and hope to Ghanaian addicts and their families. Kristen believes that people in recovery in Ghana and the U.S. could benefit from a greater number of exchange visits which carry the message of recovery in both directions.